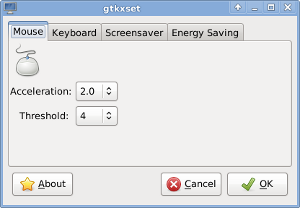 gtkxset is a program for salix fluxbox edition which i have developed. 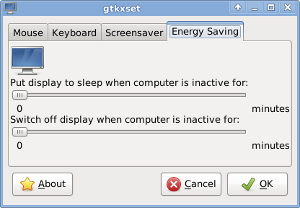 The program does not save settings when you restart your computer. When you log in, your ~/.fluxbox/bin/xscreen.sh is executed and your settings will be used. 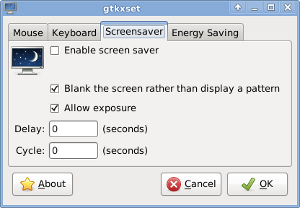 If you then make any changes in gtkxset the ~/.fluxbox/bin/xscreen.sh script is updated so that your new settings will apply. 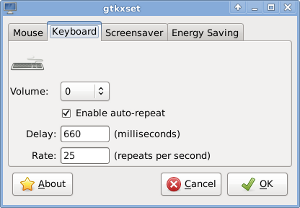 gtkxset 0.3.1 is now updated with Hebrew translation.